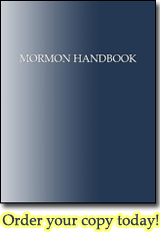 A collection of 1,438 public sermons given by 55 general authorities. While not officially canon today, general authorities considered the journal to be part of the Standard Works. The Journal of Discourses deservedly ranks as one of the standard works of the Church, and every rightminded Saint will certainly welcome with joy every number as it comes forth. Each successive Volume of these Discourses is a rich mine of wealth, containing gems of great value, and the diligent seeker will find ample reward for his labor. After the fathers and mothers of this generation have made them the study of their lives their children’s children will find that they are still unexhausted, and rejoice that this Record has been handed down from their fathers to also aid them in following the way of life. It is impossible to give monetary value to the past volumes of this publication... Those who read the utterances of the servants of God, contained in this book, under the same influence by which the speakers were inspired, cannot fail to receive profit from the perusal. We take great pleasure in presenting to the Saints and the world... the Journal of Discourses, which they will find contains rich treasures of information concerning the glorious principles of Eternal Life, as revealed through God’s anointed servants in these last days. All who read the discourses contained in this Volume are earnestly recommended to adapt them to their lives by practice, and we can confidently assure them that, in doing so, they are laying up a store of knowledge that will save and exalt them in the Celestial kingdom.